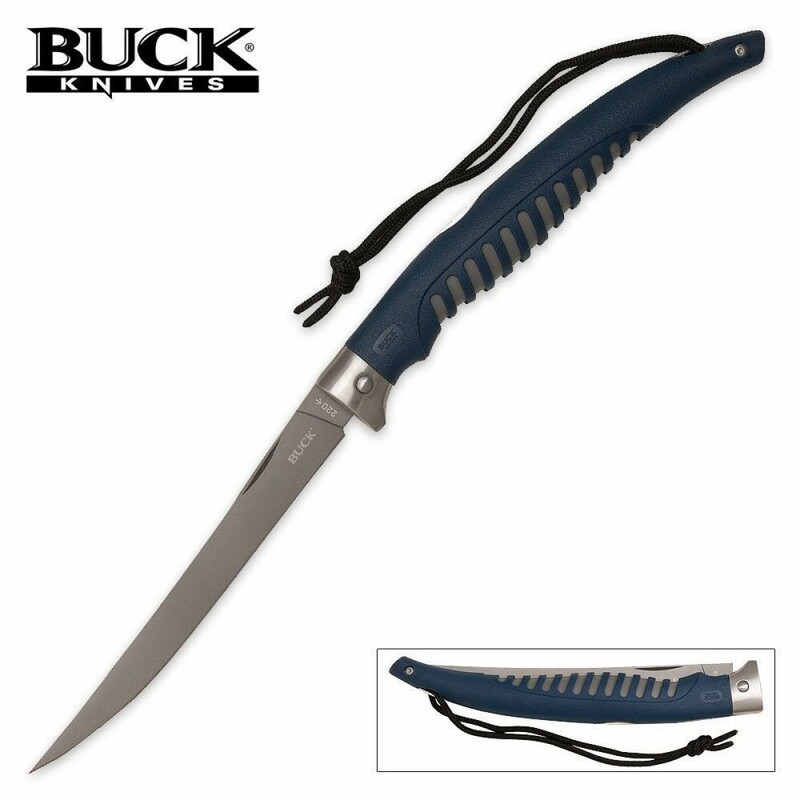 Our Silver Creek Fillet Knives have quickly become popular among fishermen with their corrosion resistant Titanium coated flexible blades and rubberized handles. For added convenience Buck now offers a folding Silver Creek Fillet Knife, which is great for any fishing kit. 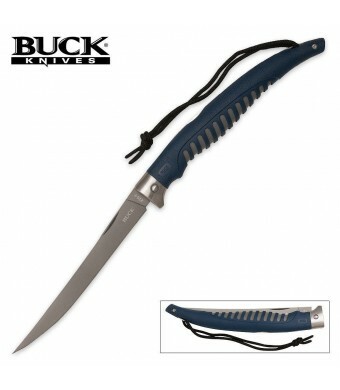 The folder still has all the benefits of the fixed blade fillet knives, but is convenient for fisherman to carry with them, due to its compact size. It utilizes a mid-lock back design for safety while in use.